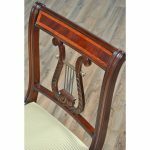 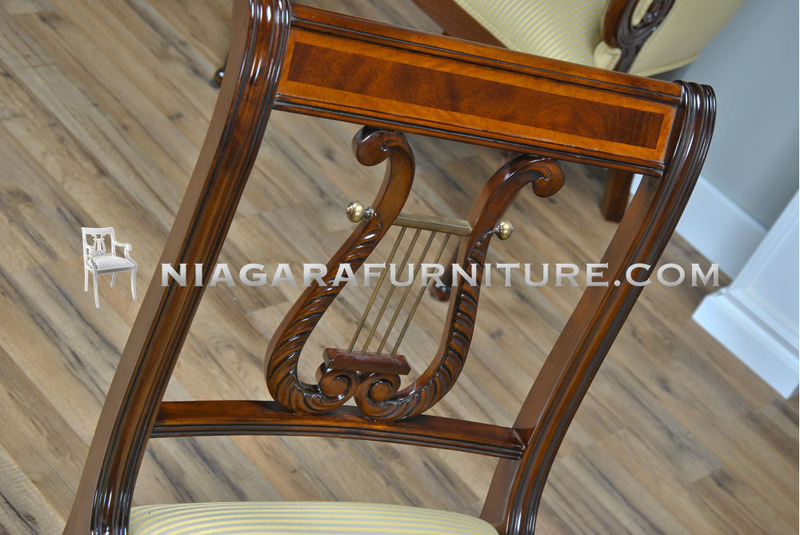 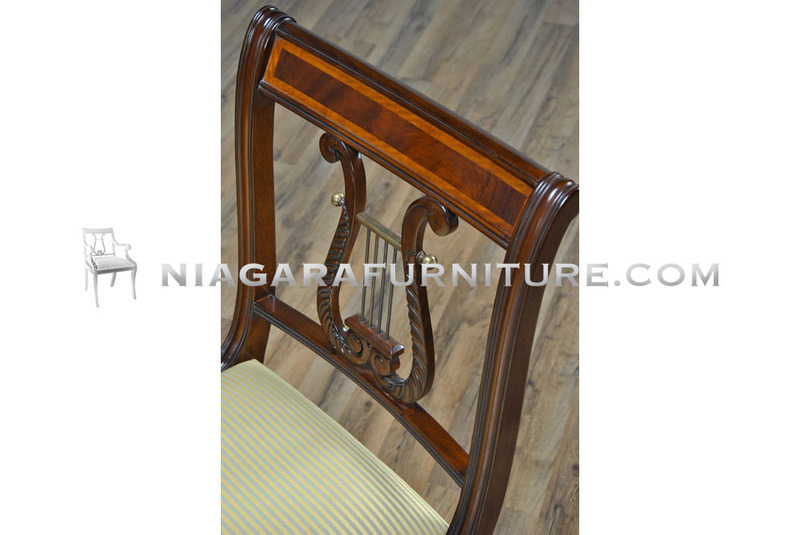 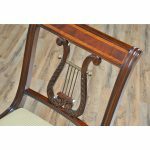 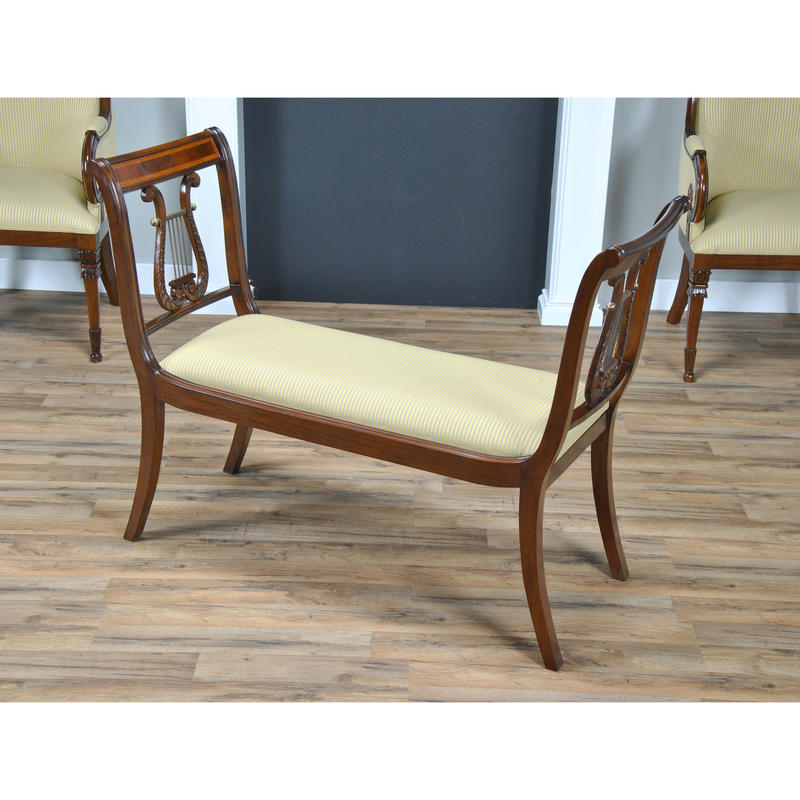 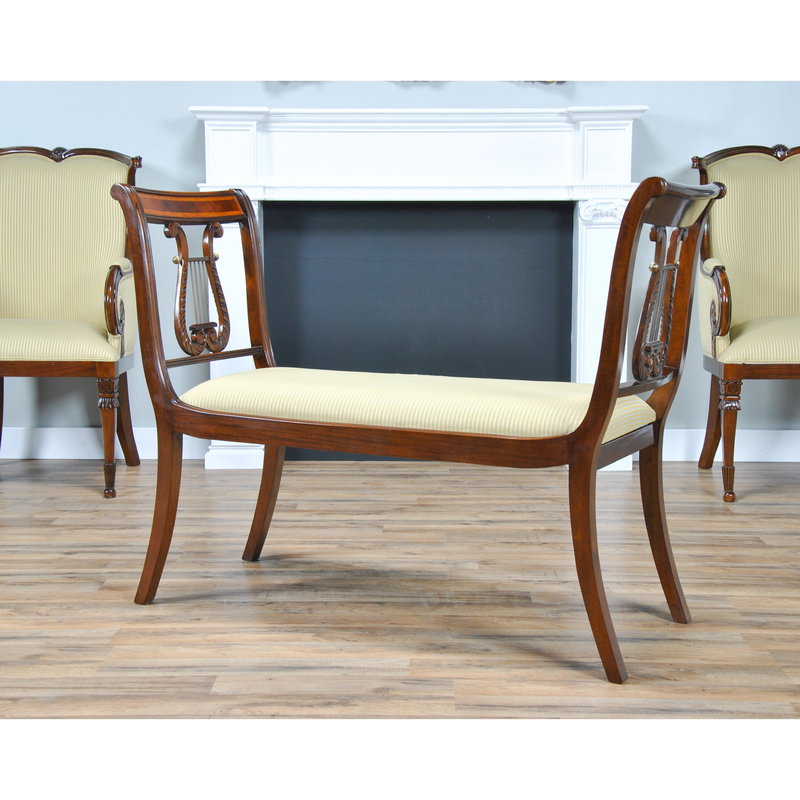 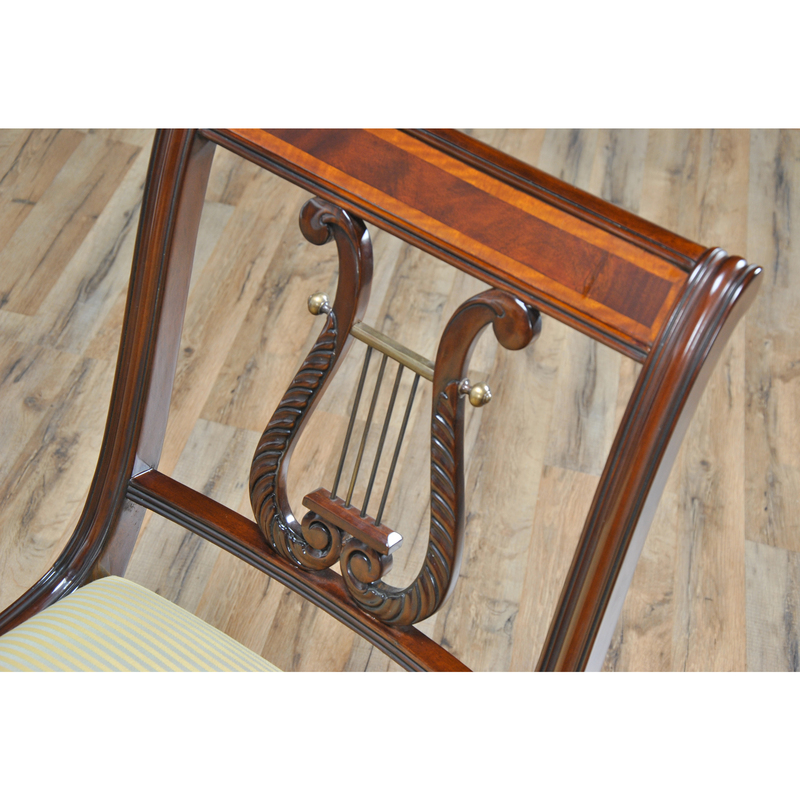 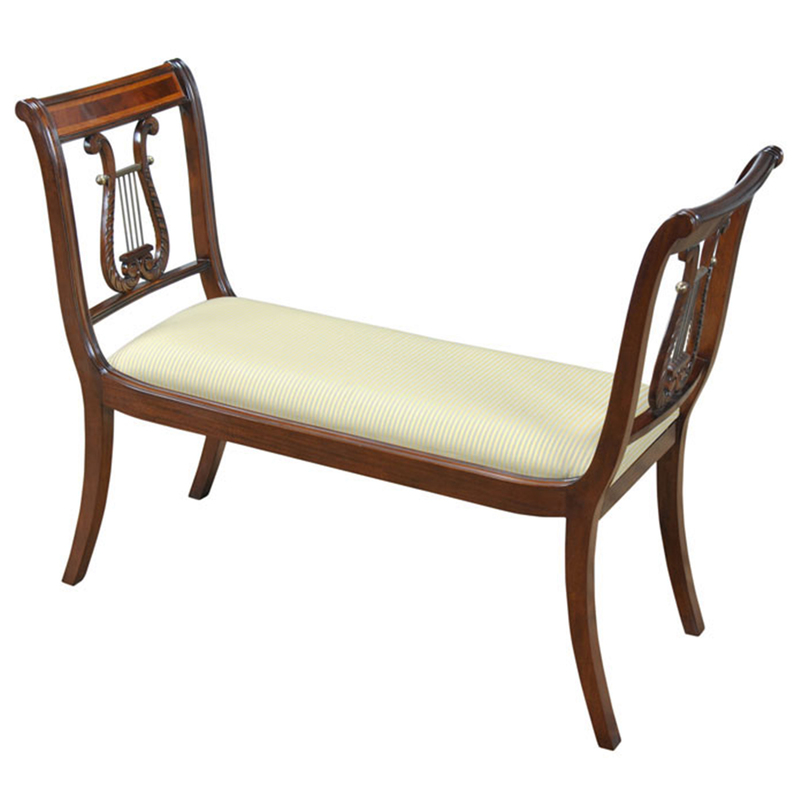 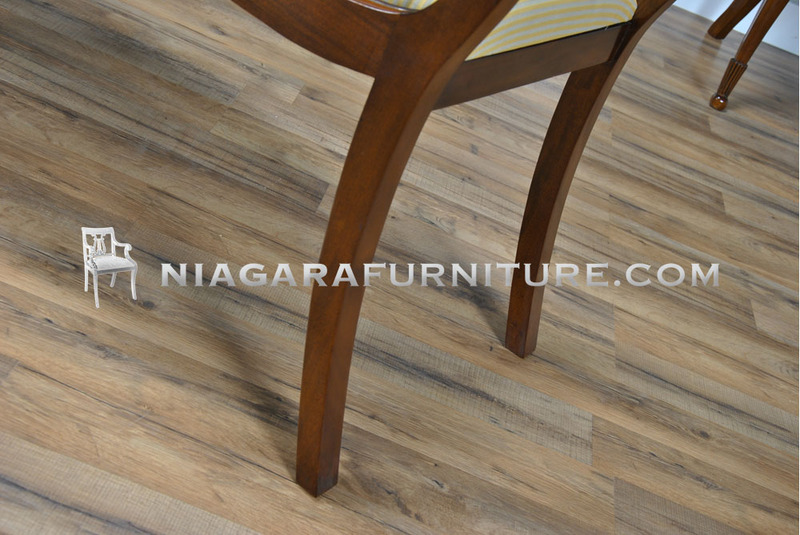 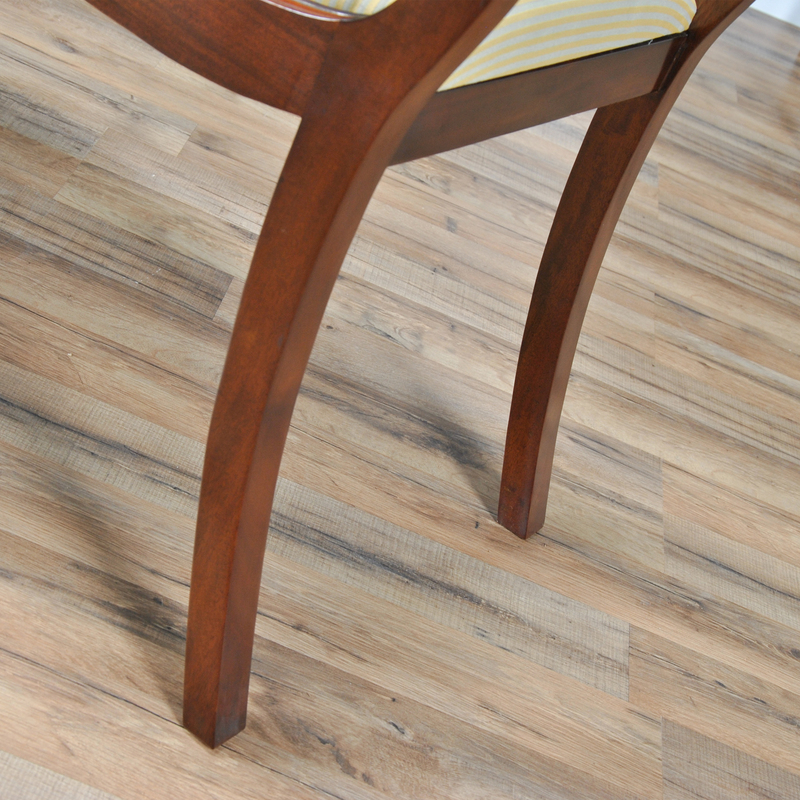 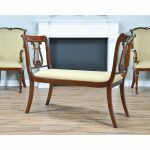 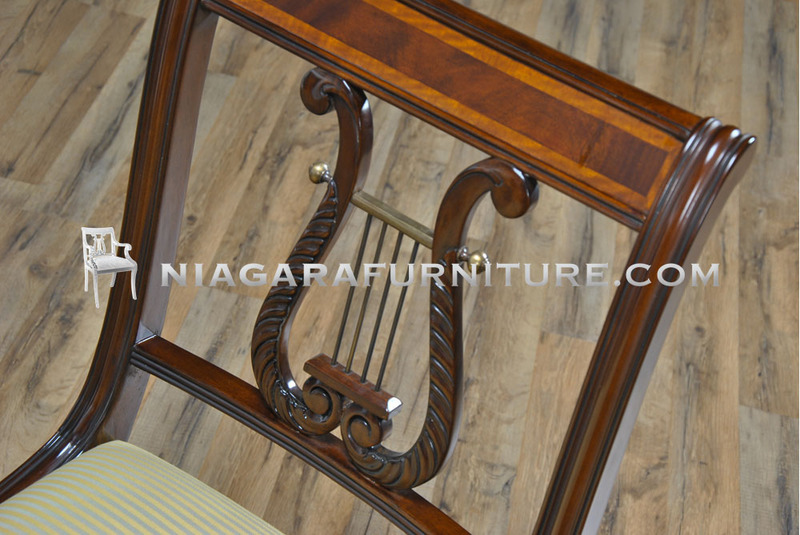 A beautifully designed and executed solid mahogany Banded Lyre Back Window Bench from Niagara Furniture. 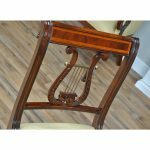 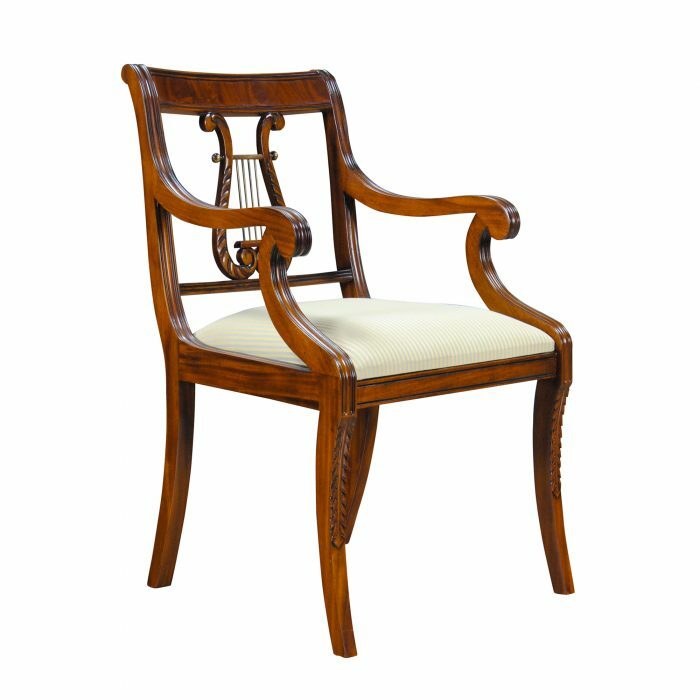 Features include a figural mahogany crest rail surrounded by satinwood banding, lyre carved back splat with brass decorations, and out swept tapered legs. 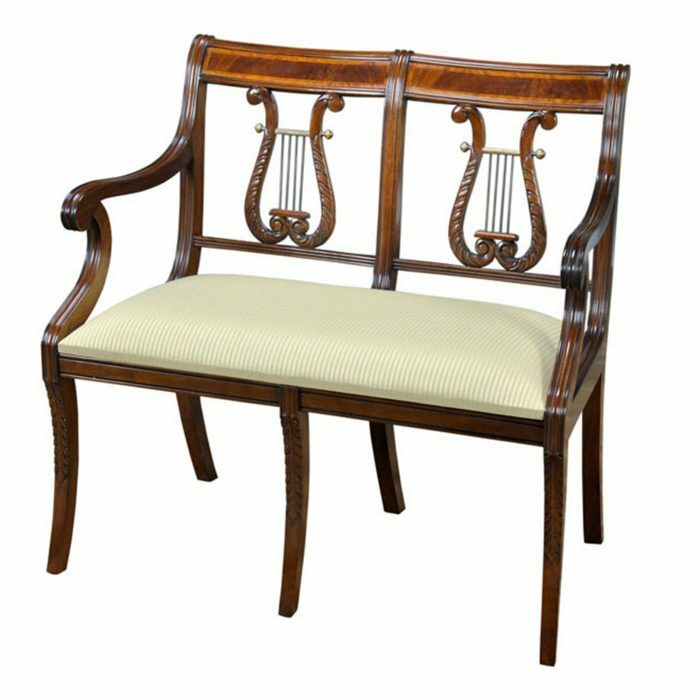 Meticulously finished and available with our most popular upholstery the Banded Lyre Back Window Bench is ready to use in your home. 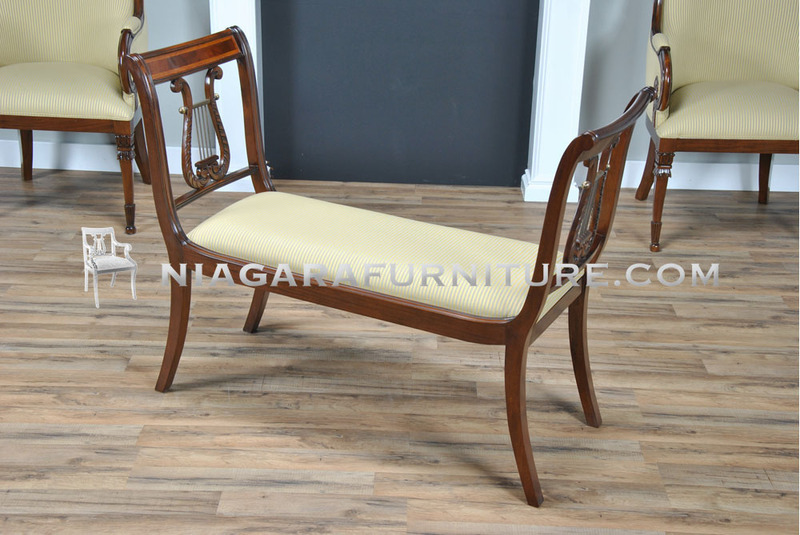 Many folks use these near or under a large window or painting, in the front entry way of the home but they are also popular to place at the foot of a bed. 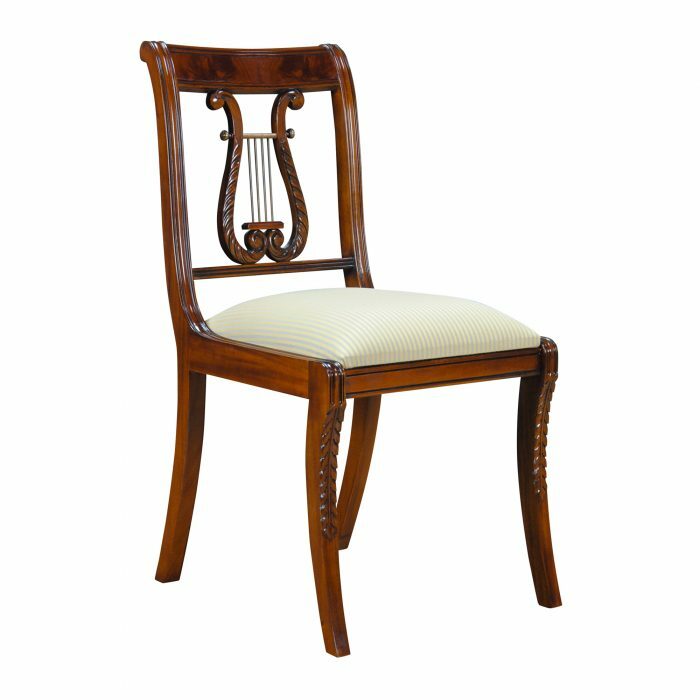 The seat is easy to remove with four screws should you decide to change the fabric to match your home’s decor.